The White Dog Blog: Out with the old ... WHOA!!!! You need to shed a few furs and roll about in the car to make it smell just right Duncan! Last time the Lady got a new car, Hailey was scared to go in it. She thought it smelt scary! Oh yeah, it smells just like green papers BOL! Whoa is right - first a new couch - now a new car ! 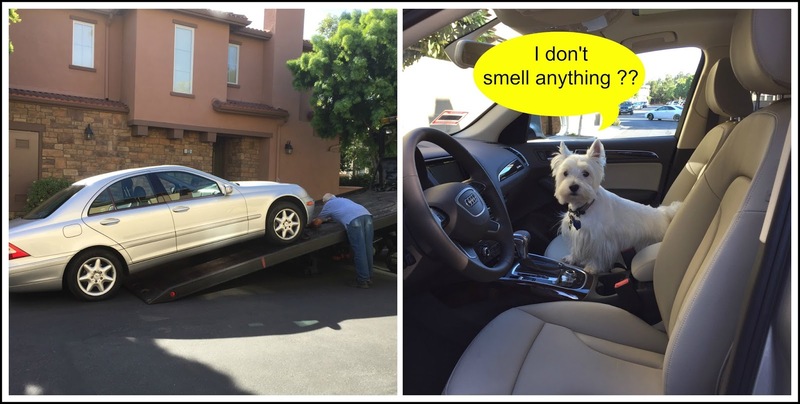 Hopefully, you'll get that car smelling right soon. We got a new car round here too, but I hasn't gotten to get in it yet.